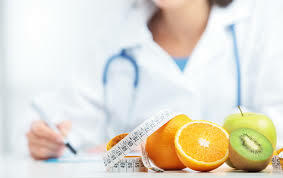 Objective: To evaluate the validity and reliability of an instrument adapted from the SERVPERF scale for measure the level of satisfaction of patients with respect to the Nutrition Service during their hospitalization in a Health Institution in Lima, Peru..
Methods: Cross-sectional, descriptive study with analytical components of validation of the SERVPERF questionnaire adapted for hospitalized patients receiving the Nutrition Service. A pilot test was carried out with subsequent analysis of psychometric properties of validity and reliability by means of exploratory factorial analysis of main components and calculation of Cronbach's alpha. Results: A sample of 100 patients, seen at the Good Hope Clinic, was reported from January to May of the year 2018. The Kaiser-Meyer Olkin adequacy test was 0.778 and the Barlett's sphericity test was 607.4 ( p <0.000). The cumulative variance explained by the 5 factors was 69,712%. The reliability showed a Cronbach's alpha of 0.848. Three factors were classified with 15 items, redefining a factor such as "Gastronomic experience". Conclusion: The adapted and validated instrument SERVNUT has enough psychometric properties to be considered a useful and reliable tool to measure the satisfaction of hospitalized patients who receive the Nutrition Service in private health institutions and with potential user application in the different health sectors of the Peru. This work is under a Creative Commons license Attribution 4.0 International (CC BY 4.0).